PartyMakers has party supplies for all occasions. 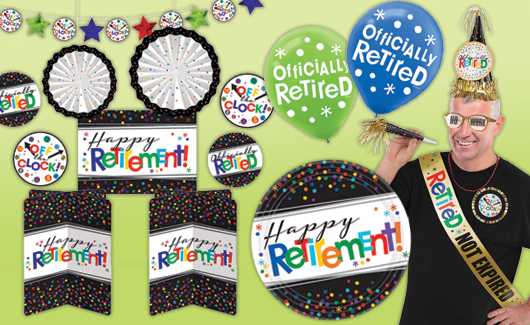 Help someone say “good-bye!” to work with great retirement themed decorations and fun novelties. Throw a patriotic welcome home party with banners, decor, and tableware. Congratulate someone on a variety of special occasions with balloons, poppers and more!